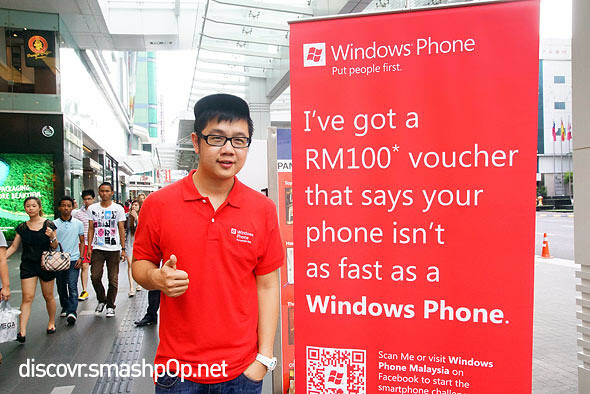 If you’ve been following the Windows Phone news, you should by now know that there’s this campaign which started in the US whereby Ben from Microsoft challenging everyone with all sorts of phones to see if they can beat the Windows Phone in speed. Well, the campaign is now here in Malaysia! So basically they go around town challenging whoever who is willing to be smoked and give out RM100 vouchers to anyone who succeeds. 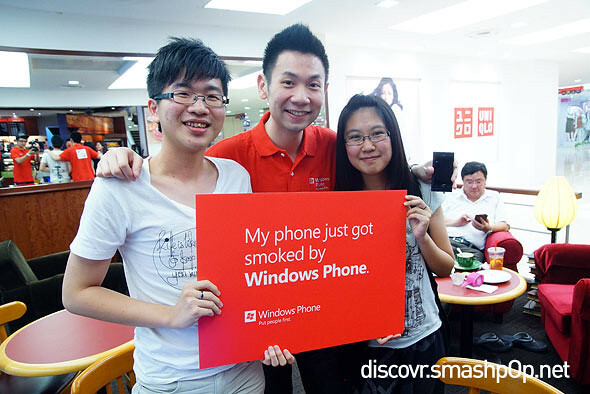 If they fail, they will have to hold up the card and say “My phone just got smoked by the Windows Phone”. 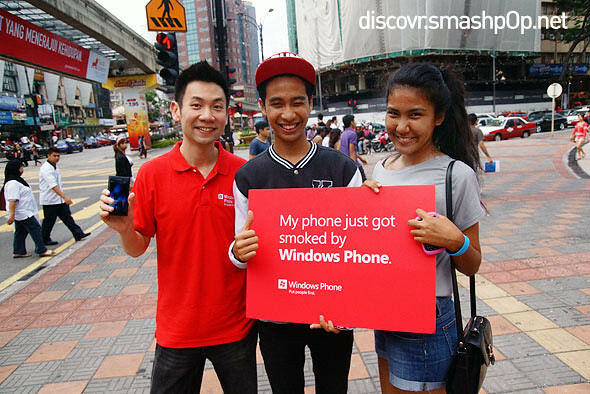 So if you wanna get SMOKED by Windows Phone, or WIN RM100 cash vouchers, come on over to the PC Fair this weekend, 14/15 April and look for us!